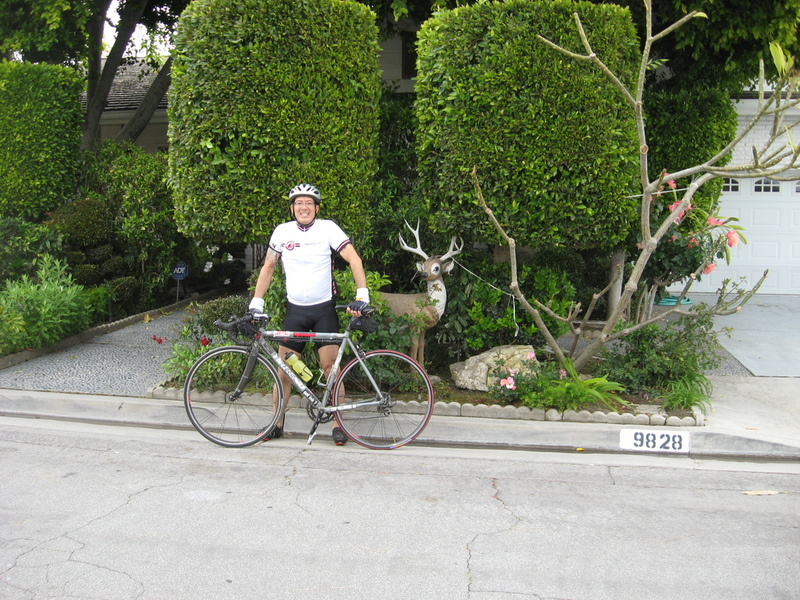 Today’s bike ride was a tour of Downey to visit several local sights. 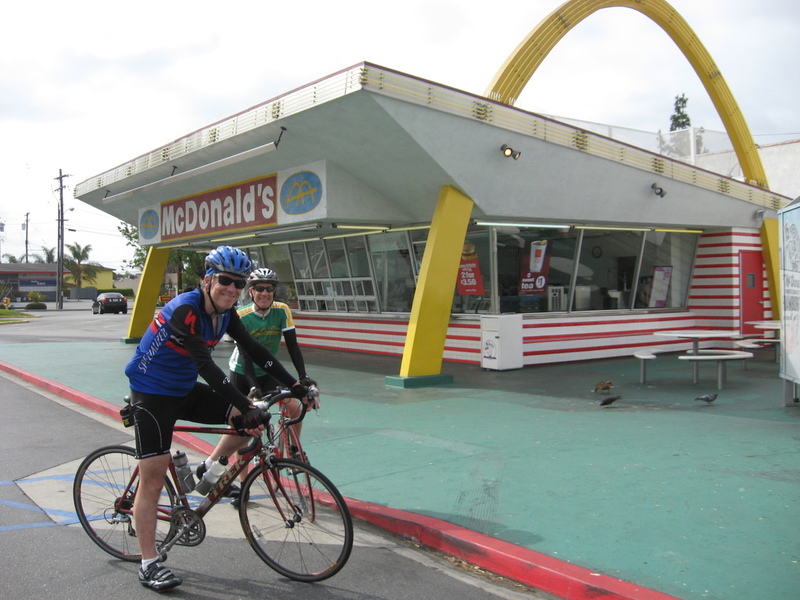 We’ve done this ride before, but it’s been over two years, so it was time again. 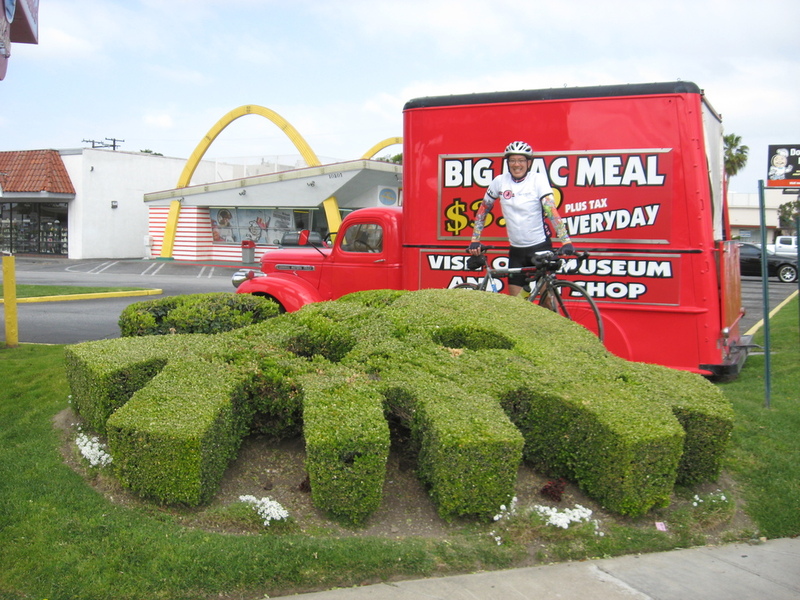 The first stop was the oldest operating McDonalds, where they had a small topiary hedge in the shape of the old-style McDonald’s logo. 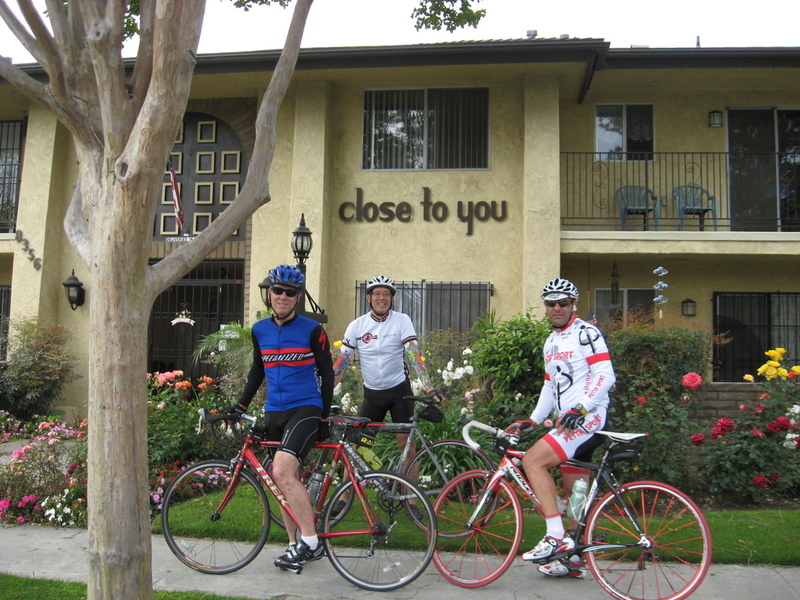 Then we moved on to see the two apartment buildings that Karen and Richard Carpenter bought with their earnings from their first two hit songs. Then we went to see their family home, which had been in danger of being demolished a couple years ago, but it was still there. 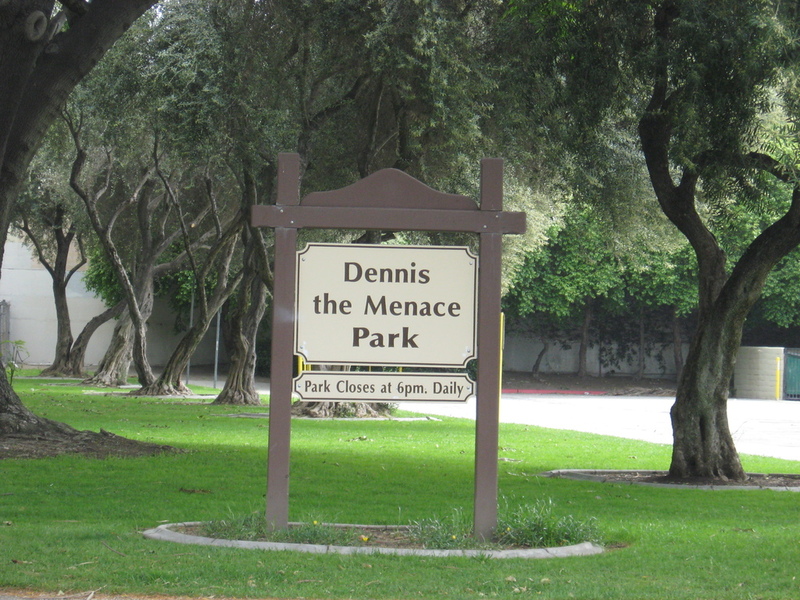 And the final stop was at Dennis the Menace park, which, strangely, was not open at 10:00 on a Sunday morning. So nobody was in there, aside from a bunch of homeless people. The highlight of our morning easily had to be the guy walking his pet raccoon. A raccoon on a leash is something we’ve never seen before, and the raccoon was very cute. 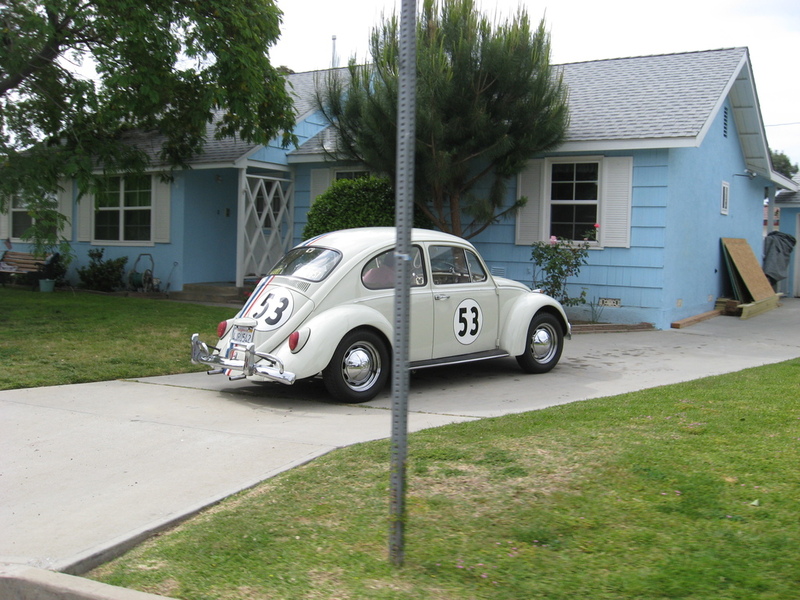 We also saw Herbie in a driveway in Downey. 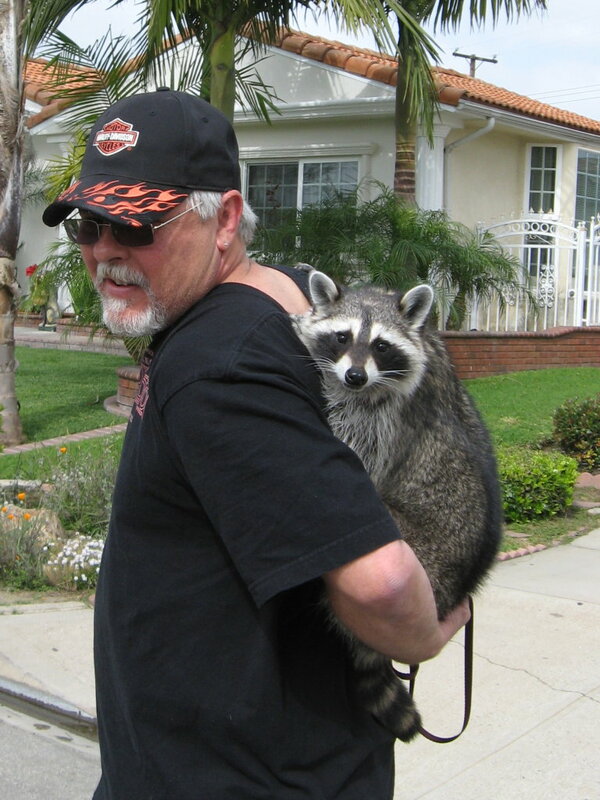 i wonder what kind of shots a pet raccoon needs… and if they can be trained to dissuade other raccoons from digging through your trash. 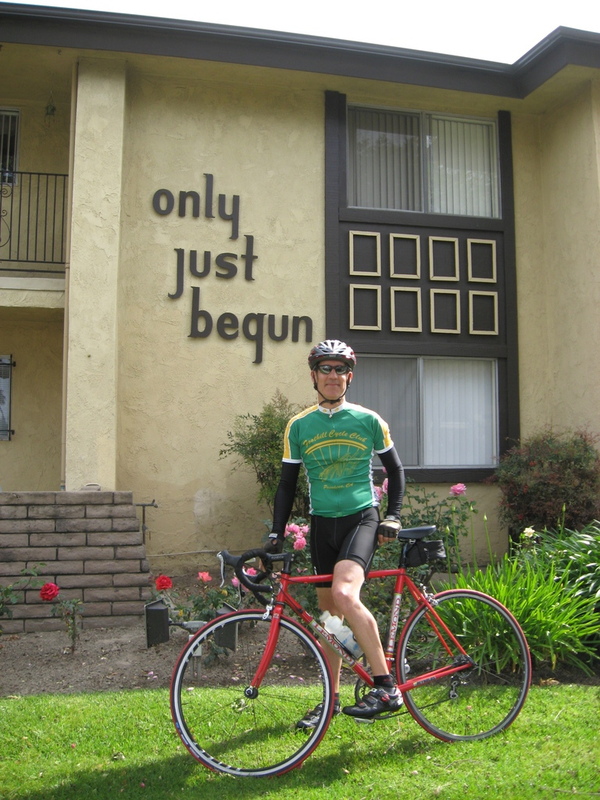 BTW is that Silvio on the new Ridley?? ?